Curator Peter Lewis at the opening of the group show /seconds. 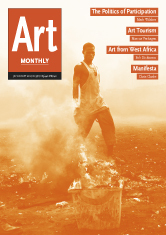 in the Sharjah Art Foundation, United Arab Emirates. Lewis speaks about curating his web portal/ magazine for art and the process of installing the three dimensional works, ‘offline’. Plus on the same night we hear from French artist Fabienne Adeoud directly after her live performance on her first visit to the Middle East, and Kuwaiti designer/ artist Nanu Al Hamad comments on the opening of an installation by the GCC, a self-styled Gulf collective of which he is part, at the Sharjah Art Foundation. Also opening that week was the GCC’s ‘Achievements in Retrospective’, taking from their recent MoMA show, by presenting existing work recontextualised and extending ideas from the MoMa show into new works responding to the site. Six Pillars broadcasts weekly Tues 21:00hrs, repeats Thurs 16:00 hrs on air across London – 104.4FM or live online via the Radio Player. This entry was posted in Six Pillars to Persia and tagged Achievements in Retrospective, collective, emirates, Fabienne Adeoud, GCC, gulf, moma, Nanu Al Hamad, performance, peter lewis, seconds, sharjah art foundation, UAE on January 2, 2015 by sixpillarstopersia. Maria Walsh discusses her reviews of Jo Spence at SPACE and Studio Voltaire, London and Emily Roysdon’s on line performance from Tate Modern with Cherry Smythe who discusses her reviews of Nancy Holt at Haunch of Venison, London and Mikhail Karikis: SeaWomen an immersive film installation at Wapping Project. This entry was posted in Art Monthly Monthly and tagged cherry smyth, Emily Roysdon, Haunch of Venison, I am a Helicopter Camera Queen, Jo Spence, Jo Spence: Work (Part I & II), london, maria walsh, Mikhail Karikis: Sea Women, Nancy Holt, online performance, performance, Photography, SPACE, Studio Voltaire, Tate Modern, webcam on August 1, 2012 by artmonthly. 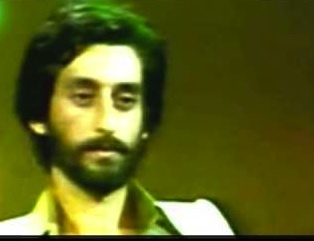 Ebi is one of Iran’s most foremost pop singers from the 70s, although his music has been banned there for many years. Listening to his unique, warm baritone voice, to his stirring ballads, it’s amazing to think that over 40 years ago Ebi was already a well-established star with fans all over the world. Ebi left Iran two years before the ’79 Islamic Revolution after recording six hit albums, and continued to work in the US. Later, he recorded another 13 albums and is still performing at sold-out concerts at prestigious venues around the world including the Sydney Opera House and Washington DC’s Kennedy Center. In 2010 Ebi played his only UK concert for years at the Royal Albert Hall to help support the fight against Multiple Sclerosis (MS). We recorded an interview with the man himself while he was in London. The song below, Tasmim, critiques the Iranian elections of 2009. The video features two glass bowls, one filled with worms the other cockroaches as a suggestive metaphor. 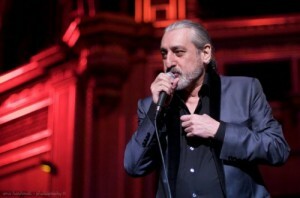 This entry was posted in Six Pillars to Persia and tagged concert, ebi, interview, Iran, london, performance, Persia, pop, Resonancefm, royal albert hall, singer, Six Pillars to Persia on May 15, 2012 by sixpillarstopersia.